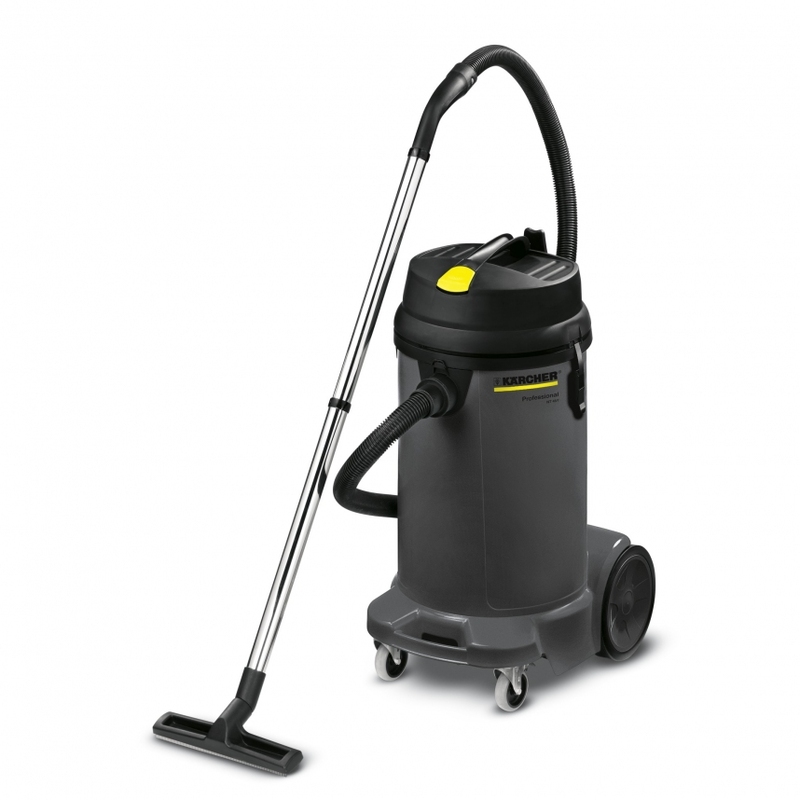 Compact 48 litre wet & dry multi-purpose vacuum, with 110V power supply. For more information please call our office on 01473 636663. The NT 48/1 is a high-capacity single motor all-purpose vacuum cleaner for picking up large quantities of wet or dry dirt. It is fitted with an automatic cut out facility for when maximum fluid capacity is reached and a drainage hose for the disposal of all liquids in a safe and clean manner. Easily accessible drain hose for convenient liquid disposal. Accessories can be attached to the container at the rear of the machine.